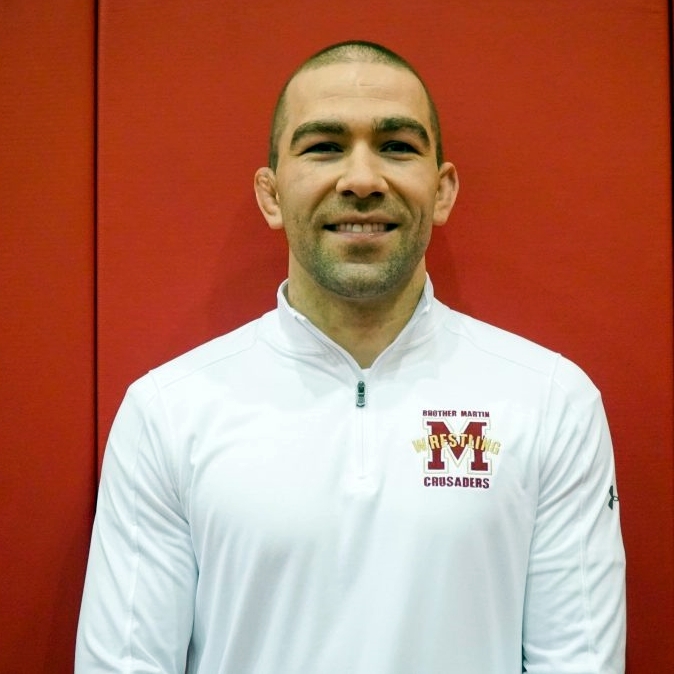 Brother Martin High School is pleased to announce the hiring of Mr. Andrew Nicola as its head wrestling coach beginning with the 2019-2020 school year. Nicola started his career at Brother Martin as a varsity assistant coach for the Crusader wrestling team in September of 2018. This school year, the wrestling team claimed its 19th overall LHSAA state championship and the seventh title in eight years. “I have been fortunate to know of the rich tradition that Brother Martin wrestling has had for many years now. Words cannot describe how excited I am to carry on this tradition of excellence that encompasses so much more than just winning wrestling matches. The foundation has been built. Our staff is already diligently working together to take this program to a level it’s never been before, which is no easy feat”, stated Nicola. Nicola brings to the table knowledge and experience in education, wrestling, athletics, and sports business administration. Prior to coaching at Brother Martin, Nicola has over nine years of high school and college coaching experience serving as the head wrestling coach of Concordia University in Nebraska. In addition, Nicola coached at California Baptist University and Cumberland University. In 2017, Nicola was recognized as Great Plains Athletic Conference Coach of the Year and the NAIA North Region Coach of the Year. In 2012, Nicola was named the Indiana State Wrestling Association (ISAW) Coach of the Year. Over the years, Nicola has coached an abundance of scholar-athletes, 7 NCAA National Qualifiers, and 16 NCAA Academic All-Americans. In addition, Nicola has coached 33 NAIA National Qualifiers and ten who have earned All-American honors, including current wrestling assistant Coach Jake Williams and Brother Martin alumnus Kyle Delaune ‘13. Nicola also coached former Crusader Ross Brister ‘13 at Cumberland. Nicola was also a member of the coaching staff for the 2013 Senior World Championships in Budapest, Hungary. Originally from Fort Wayne, IN, Nicola is a USAW Silver Certified coach who holds the titles of the 2017 69kg Master's National Championship in freestyle and Greco wrestling. In 2018, he captured the 70kg Master's National Championship in Freestyle and Greco wrestling. Nicola holds a Bachelor's of Arts degree in Biology from Indiana University, a Master's of Science in Athletic and Sports Business Administration from the University of Central Missouri, and a Master's of Arts in Education from Cumberland University. Currently, Nicola is pursuing a Master's of Arts in Coach and High School Athletics Administration from Concordia University. 150 years of the Brothers of the Sacred Heart in New Orleans.